« You Don’t Have to Be Perfect to Be a GREAT Mom! When I started practice 30 years ago, autism was not a problem I saw. No, it wasn’t that I didn’t recognize a child with autism, it was just very rare. And now a week doesn’t go by when I don’t treat or sadly “recognize and refer for diagnosis” a new child with autism. As a pediatric otolaryngologist who deals with children who have delayed speech, a hallmark of autism, I need to be tuned into the early signs and have become remarkably accurate at diagnosis. 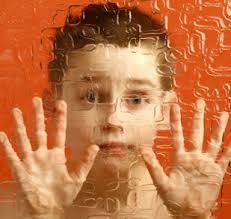 1 in 50 children will be diagnosed with autism this year. Zero understanding of what causes this disorder of normal development. 2-3 month “wait” time to see a specialist who can accurately diagnose this problem in many communities. Funding in New York State for services to autistic children and those with other developmental disabilities was slashed in this year’s budget, leaving tens of thousands of children and young adults with few options. Early diagnosis (children less than 18-24 months) who get intensive therapy can do better. At least two large studies are ongoing, one at UCLA and one at the University at Utah. Advocacy is on the rise with Autism Speaks and many other organizations doing for autism what women with breast cancer did for their constituency. So now you know a little more about the terrain, or at least where to find the information you need. The easiest is to donate to worthy causes. But clearly that is not enough. A lesser known and harder problem is to overcome the isolation these families experience. It is enormous. So first find a parent who has a child with autism and talk with them. Learn firsthand what daily life looks like for these families. The havoc experienced by the whole family is a major league stressor for all. Divorce rates are higher. Social and emotional struggles in sibling are more common. And parental illness is greater, mostly found in mothers, likely due to ongoing stress, sleepless nights, and challenges both predictable and unpredictable. You might hear the stories that detail how the family is isolated due to the social stigma of a “child out of control” who might kick or hit. Most are put into “programs” where they have little contact with the community, unless the parent has incredible strength and inner resources. Many “age out” and there are no day programs or group homes to help care for them. Okay, you now have step 1–connect to the people who have the problem. Next post: Step 2. Pick your issue and get on the stick. It’s April. It’s spring. Time for you to “spring into action.” The list is long, the needs are great. You can and must make a difference. This entry was posted in Adventures in Advocacy, Worthy Causes and tagged advocacy, autism, social isolation. Bookmark the permalink. Post a comment or leave a trackback: Trackback URL.